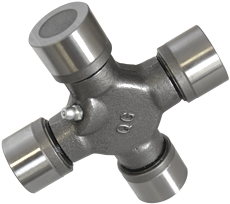 Quality Gear now offers an advanced universal joint for today's most popular drivelines. The Ultra Seal U-Joint is machined from high tensile steel to reduce flex under high load conditions with an innovative engineered internal cap seal system. The advanced protection our Ultra Seal system provides extended universal joint life even in the harshest conditions.